Guerrilla marketing: it’s a term that you must have heard being thrown around the office. 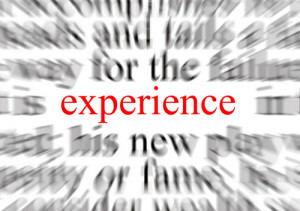 Even if you’re not sure what it is, we can guarantee that you’ve seen examples of it in your lifetime. 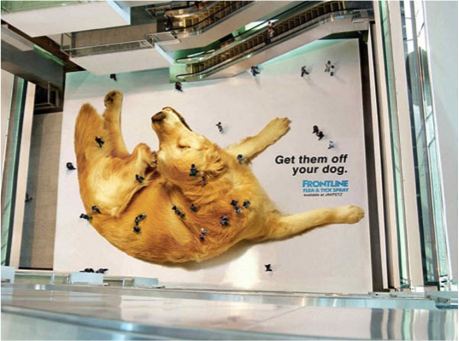 Modelled on the crazy ambush tactics of guerrilla warfare, guerrilla marketing strives to create unexpected and surprising ways of making us notice a brand or product – without spending thousands of pounds. This is guerrilla marketing at its most basic but most effective. The giant pooch was constructed from huge stickers, and made for an amusing, memorable and clever use of ambient media. McDonald’s have executed numerous guerrilla marketing campaigns over the years, but this one in Sweden took their advertising in a new direction. The concept was simple. 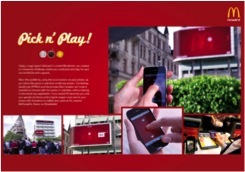 Users got to control a billboard and turn it into a personal game. By completing the game in 30 seconds, consumers won coupons for free food in the nearest Mcdonald’s restaurant. The campaign worked as it was so easy. Users didn’t have to download an app to take part, which normally causes a barrier to entry. Instead the phone picked up the users location and they could join the game via a website. In South Korea, the number two supermarket, Homeplus (owned by Tesco) needed a way to close in on the number one supermarket chain, E-Mart. The result was a brilliant merger of guerrilla marketing tactics with mobile technology. Homeplus covered the walls of subway stations with fake store aisles. Lifelike images of grocery items, each with a unique QR code, surrounded commuters. To fill their virtual shopping carts, commuters simply scanned the unique codes and pick a delivery time while they wait for the next train. Putting the convenience of mobile grocery shopping and home delivery in front of busy commuters helped Homeplus increase online sales by 130%.